Think about all the places you go and hear music. The grocery store, elevators, waiting rooms, restaurants, the gym, sports stadiums, funeral homes, bowling alleys, coffee houses, winery tasting rooms. The list goes on. In the US, billions of copyrighted songs are played at most businesses every year. Performing Rights Organizations (PROs) send staff around the country to collect royalties owed to songwriters for music heard in public settings. This includes both recordings and live performances. From 2011 to 2016, 25 bars, restaurants and nightclubs in the Tampa area were sued, settling with copyright organizations for as much as $62,000. In the last two years, lawsuits were filed against 58 Baton Rouge bars, restaurants and similar venues. A federal appeals court upheld a $200,000 judgment against a California bar because it played eight songs without permission and ignored demands by a performing rights organization to purchase a license. Just last year, Oregon’s Rogue Valley had a visit from a PRO, resulting in the demise of live music at a Caldera Brewery location and Dobra Tea House. At Caldera, the owner was billed $3,500 for songs played by live bands in the previous few years. He removed the stage and discontinued live music. At Dobra Tea House, all folk dancing was discontinued. All wineries and tasting rooms using music must pay the fees. PROs hold the licenses to most every song heard on television and radio. Licensing fees range widely and depend on the size of the business. Check into it; for some, fees can cost less than $1 a day. To ensure your winery does not make headlines over failure to pay for music licensure, several options are available. Play the radio. Heed the restrictions based on square footage and speaker output. Get the specifics at this blog. Hire musicians who only play original tunes not licensed by ASCAP, BMI or SESAC. Require the musicians to provide you with a written playlist of every performance so you have evidence in the event a PRO alleges copyright violations. Purchase a Pandora or Sirius XM license for business use. If a PRO comes to you requiring a payment for copyright violation, ask to see the evidence. While at the Oregon Wine Symposium, we spoke with an attorney at Davis, Wright, Tremaine. She explained that PROs use scare tactics. Most cases of copyright violation never go to court. Ask to see their evidence and be sure you have yours—mainly, artists’ set lists. In 1917, the United States Supreme Court ruled in favor of a songwriter whose music had been performed in a restaurant. The court found the use of music provided a “luxurious pleasure” for diners. Because the music was present to enhance the experience, the composer should have received royalties. Out of respect for the songwriters whose music you enjoy, please pay your licensing fees. They deserve their royalties. And guard your own reputation by staying out of the headlines. Thanks for taking on a subject that is confusing for folks on each side of the issue, Chris! I wish this whole topic was simpler, for sure. As both a performer and a winery music attendee, I’m bummed to see the demise of live music at any venue which featured it, but I completely understand that’s a decision for each business owner to make. And note that the “original music only” thing can be a two-edged sword. Most musicians who play their own original music and who treat their music careers in a professional manner are likely already PRO members with songs registered in those catalogs, which many folks may not realize. So not being a big star doesn’t always equate to free work! And other local musicians who may not take such things seriously might not always present the best music for a venue and/or costumers. 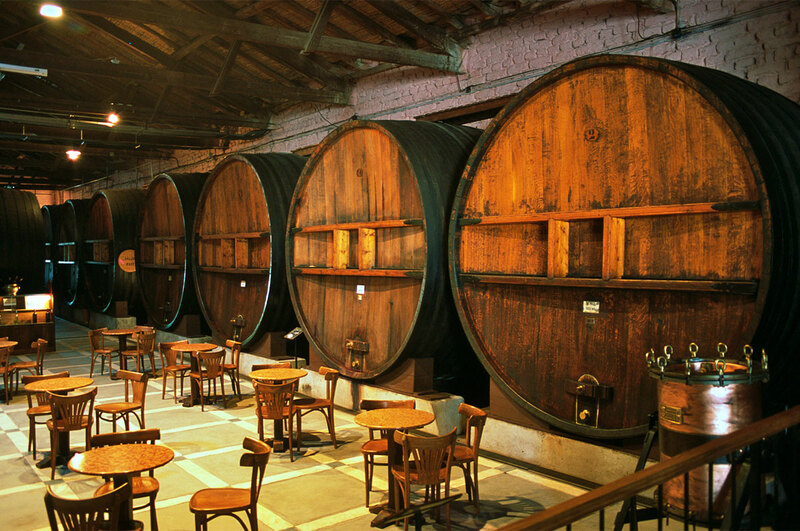 In the end, winery owners need to consider what best suits their venue and the overall atmosphere, and proceed accordingly. Thanks for sharing your perspectives, Jeff. It’s good to know that even the less known songwriters register their original songs. I want to shout out that you are one of my favorite songwriters/musicians and share your website and Facebook page. Cheers!